Putting together an effortless yet stylish summer look can be tricky. This is because as the temperature rises, our sole concern is staying cool. The result? We tend to stick to tried-and-tested styles, without much experimentation. But fret not, Nicobar’s new collection Heart to Heart is here to end all your wardrobe woes. Also, since we believe that you must never lose your personal style edge, these pieces are sure to be a seamless addition to your wardrobe. Each piece is clean, simple, classy, and very wearable. Women, especially those who are looking to add something timeless yet summery to their collection. This one is sure to win you brownie style points, and at the same time carry you from a day at work to an evening of drinks with considerable ease. Win-win, right? Why Should I Check It Out? If you are a fan of Nicobar, you will know that their collection is something that is instantly pleasing to the eye and is comfortable at the same time. Mixing classic silhouettes with contemporary detailing, this special womens wear capsule collection, is defined by a warm palette of ivory and chocolate shades. 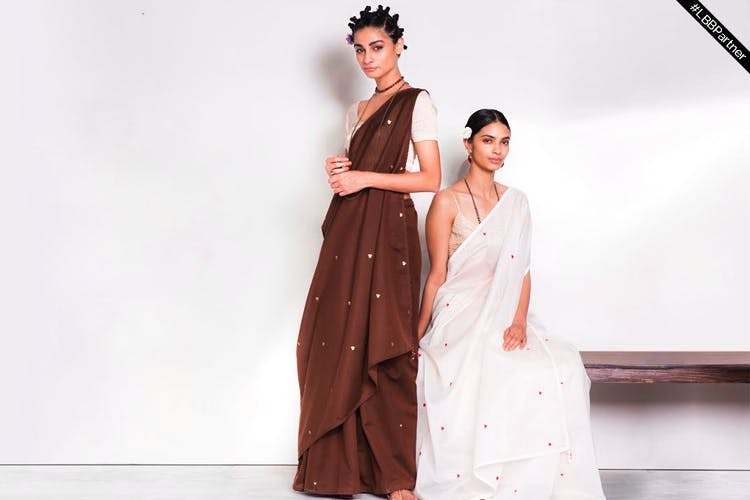 Made from gossamer-thin Chanderi and cotton silk, this collection brings together trousers, dresses, tunics and even two special saris. Choosing your favourites is not going to be easy. We are especially biased towards their ivory pleated dress that is embroidered with tiny crimson hearts and tinier crimson dots as well as their mandarin collar shirt, that is perfect for all your summer evenings. Let us know your favourites. Follow Nicobar on Facebook here and Instagram here. This story is in partnership with Nicobar.